Regal Ground Turmeric - 5 lb. Use Regal ground turmeric to spice up signature dishes at your Indian restaurant or Japanese sushi bar. A staple in popular Indian and Middle Eastern recipes, Regal ground turmeric is sold in 5 lb. quantities and derived from a dried root. Turmeric is bright yellow in color and features a pleasant aroma and bitter flavor best described as a combination of ginger and pepper. Regardless of whether you run a restaurant, buffet, or upscale bistro, turmeric will add robust and full-bodied flavor to all of your favorite dishes. "Quality turmeric that comes in a large reusable container that can be easily stored to keep its freshness. Turmeric in used in so many ways in food and for beauty health." In addition to being delicious, turmeric also has many health benefits. Most notably, turmeric is helpful for the treatment of digestive problems and acts as an anti-inflammatory. This 5 lb. container of ground turmeric is a cost-efficient option for high-volume kitchens. Dehydrated spices also last longer than fresh ingredients and are much easier to store. 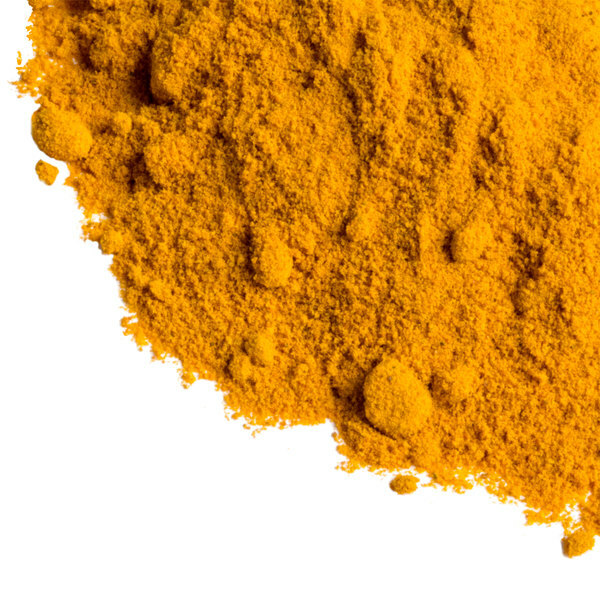 Ground turmeric adds a unique flavor and aroma to curries, sauces, meat, and rice. It can also be used to add vibrant color and taste to relishes, chutneys, butters, and even cheese. 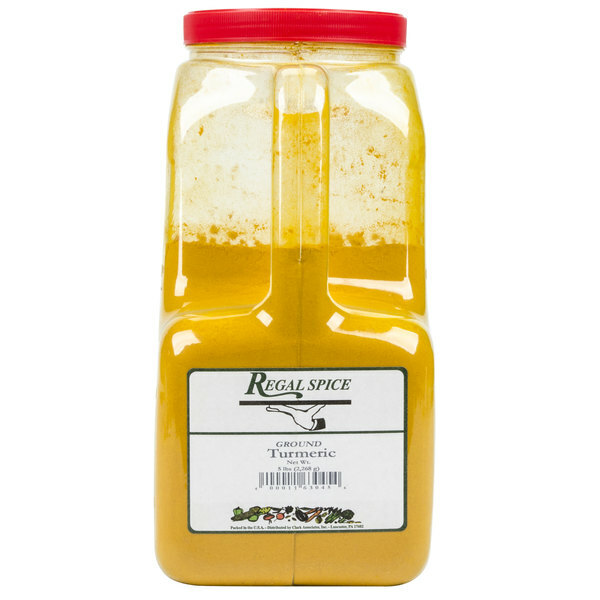 Item #: 102708306 Regal Ground Turmeric - 5 lb. 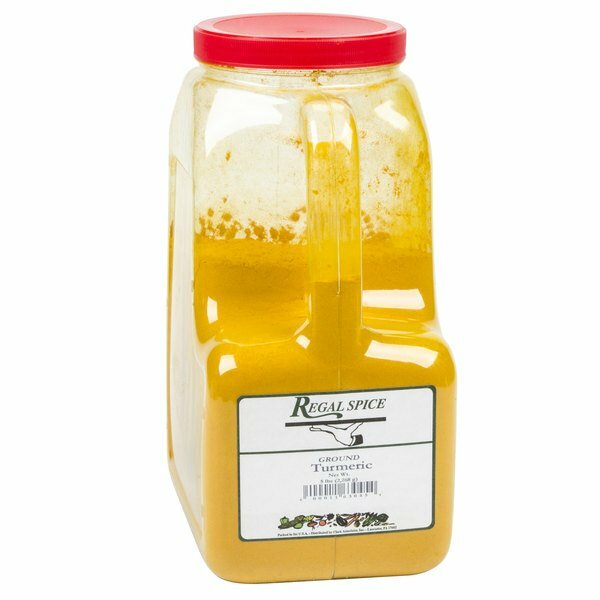 Item #: 10207154 Regal Ground Turmeric - 6 oz. Overall User Rating: Regal Ground Turmeric - 5 lb. I use turmeric in my Indian food a lot, so I buy a larger size bags of it. I like websturant's product for a number of reasons. First price is cheaper, second larger amount, third is container. I don't have to worry about in Wich jar or container I will store it. After a visit to my doctor he was telling me about all the health benefits of Turmeric. I picked some up at a different store for a staggering high price. So glad I found it here! We produce pastured eggs, and a simple trick for deep yellow-colored yolks is adding tumeric to the feed. It not only keeps the chickens healthy, but produces a beautiful egg. It would be too expensive to add this supplement if we couldn't buy it in bulk at Webstaurant. We love this Turmeric and the bulk price too ! We're using it in an authentic german berliner currywurst sauce. Turmeric also has many natural medicinal healing benefits including to eyesight and cataracts. We highly recommend this product. Great for recipe creations! Great as an alternative for curry powder. love the texture of the powder and doesn't clump. Regal Ground Turmeric doesn't stain my counter tops. Has a mellow taste that is great for a mellow ale or brew and even white wine!! This ground turmeric is fantastic. It allowed me to get what I needed at a price that shocked me. This is great for Japanese dishes but also can be used for medicinal purposed. I would definitely purchase it again. Very happy with the quality, the color, & the price of this tumeric. Vibrant in color and in flavor, and cheaper than my spice guy. Finally I was able to source turmeric in a bulk size container. This is exactly what I needed for my restaurant. Thank you webstaurantstore. This is a great product. The regal ground turmeric is amazing and has a marvelous texture and taste. We mix our own tea blends and love adding turmeric to it for a healthy additive. The price is amazing and can not be beat. Aside from finding a bushel of fresh turmeric root, it's almost impossible to find this stuff at normal grocery stores. I was amazed when I found out the WebstaurantStore.com carries ground turmeric in five pound containers. Not only that but the quality is amazing, especially considering the price point. Love adding turmeric to our spreads for a great added immunity booster. The turmeric is a great additive and really makes a great addition to our bagel shop. All of these spices, including this tumeric, from Regal cannot be beat! They are of equal or better quality that most of the private labels, or national brands, and are only a fraction of the price. 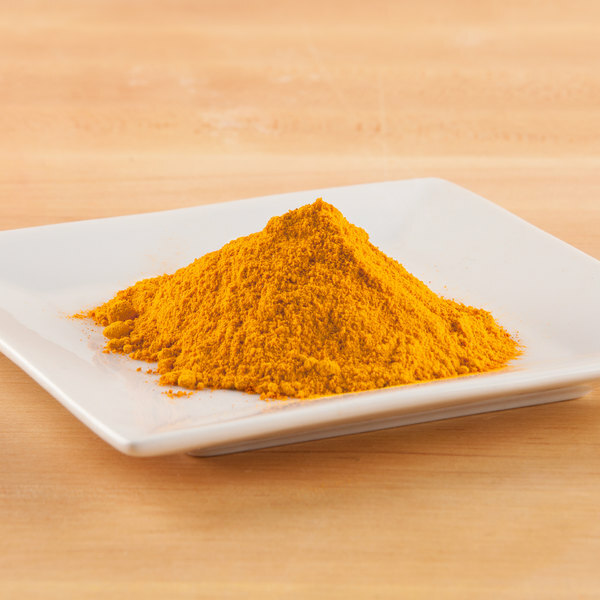 Great bold turmeric that is great for making our turmeric infused honey. A great quality and really blends well into our raw honey for a healthy treat and spread. 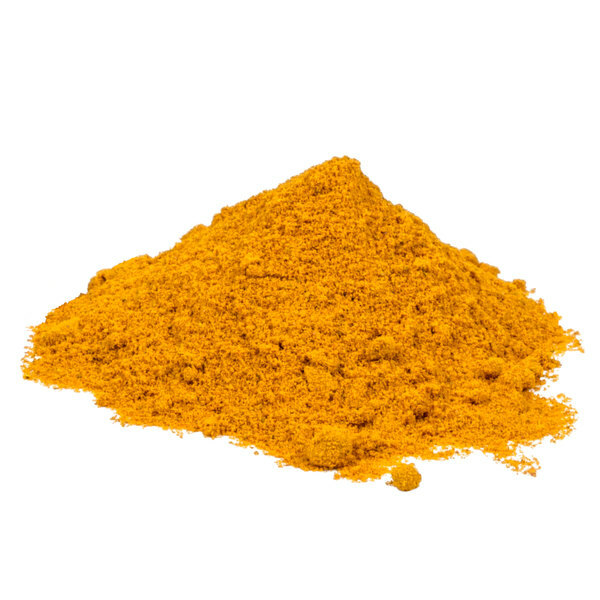 The regal turmeric is a great spice and love how good turmeric is for you body. Love adding a tablespoon of this spice to my protein shake. We infuse tea and honey with turmeric for an added health benefit. The bulk tub is great and is very fresh. Great for scooping out of. 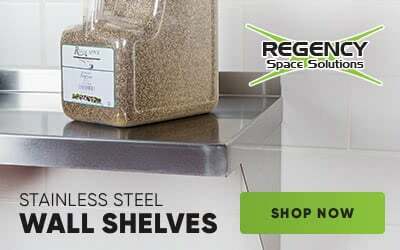 A great bulk container buy from Regal that is a great quality and perfect for our kitchen. A nice herb to have to add to our meat spice blends for an added kick. The turmeric is very fresh. The ground turmeric is a great spice to have on hand to add to our teas and smoothies. 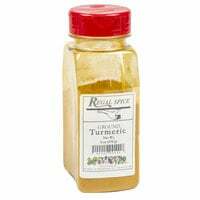 The turmeric is great for immune health and this bulk container is a great quality.